Watching a musical live in a theater is a completely different experience that cannot be compared to a movie. The entire spectacle of the stage, the performance, and the story is something that everyone should see at least once in their life and more if they can. Now most Broadway shows are great for the whole family but if you are not careful you may be bringing your child to a show that is more mature than you thought it was. 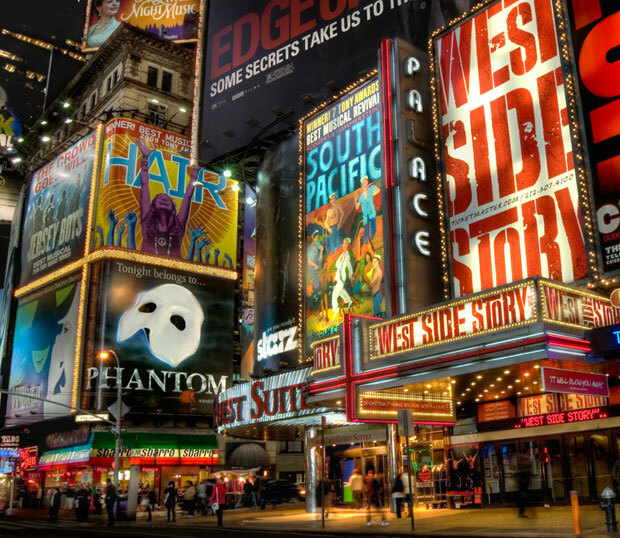 So if you want to expose your children to the lights, the sounds, and the glamour of the broadway stage pick a show that will truly make it memorable and wonderful. Children love to watch performances and a broadway show is definitely a show that you'll want them to remember and enjoy. Not every city or country has an active or a strong theatrical presence. Also, other cultures may have their own form of stage presentation which may or may not appeal to the citizens of that country more. So when we say broadway show, we mean a show that has appeared on Broadway in New York but can and has been performed in other parts of the world. The Lion King is the first play on the list. Everyone is most likely familiar with the movie and the play has its own spectacular elements. There are also different songs between the show and the movie. But if this show ever comes to your city it is worth spending a little extra to go see it with your kids. Aladdin is also one of the more recent broadway musicals. This show started running in 2011 and is still going strong today. This means that you might get lucky and it might come to your area. Cinderella is one more Disney movie that has come to Broadway. It has been well received and is a show worth watching with your little ones. Matilda is now a musical and we loved the movie and the book very much so if the show comes to us we will definitely watch it. We also don't want to get locked up in the "chokee" for not watching it. Mamma Mia is a fun and fabulous experience with the family. The disco themes and the costumes are certainly out of this world. Beauty and the Beast may not be running anymore on Broadway but plenty of other performing guilds can pick it up and perform it. This is also a play that many schools can perform. Jersey Boys is another great show. If you want to share some great 60s music with your kids this is a show you must see. Wicked is definitely a show that everyone in the family has to watch. This is one of the newest shows that have become such a huge hit. Not all great shows in Broadway follow the musical show format. There are plenty of other shows that grace the stage and they are also not to be missed. Stomp is a great show filled with percussive beats and dancing. There may not be a story but the music and performance is incredible. The Blue Man Group is another funny act that must be seen live. These amazing performers are funny and talented, it is a real treat to see them on the stage. Cirque du Soleil is a performing company that travels all over the world to perform. These acrobats are world class and if they come to your city make sure you are able to watch them. A lot of these shows are available in the United States or in the United Kingdom. Unfortunately not all countries have a huge and established theater industry. If you get to watch these shows then great. But the best thing to do is to support your local artists and performers. If they put on a show with one of the plays we have on the list then go and watch them. But if they choose a show that is a little bit older or maybe not as popular please still watch them. The whole experience can be a treasured memory in your child's mind. Want to read more? Check out the rest of the BusSongs blog. Enjoy! Your child's first music lesson: When should it happen? Before you get your child started on expensive music lessons. Before you buy them their own musical instrument. Here are some things to consider before you have them take their first music lesson. It is very hard to forget the first musical that you watch on stage, especially if you watch it when you are young. We talk about the musicals that you should take your child to so that they can have a magical musical experience too.